Four-strokingIs an operating condition of two-stroke engines, where they instead begin to fire every four strokes or more, rather than every two strokes. This firing is uneven, noisy and may in cases where it doesn't occur normally even damage the engine if allowed to continue unabated. However, in some circumstances four-stroking is normal. When idling most two stroke engines will four-stroke, as well as when letting off the throttle. Four stroking will also occur in a correctly adjusted two stroke engine at full throttle without load. In the latter case this happens because the air-fuel mixture becomes overly rich and prevents the engine from running faster. 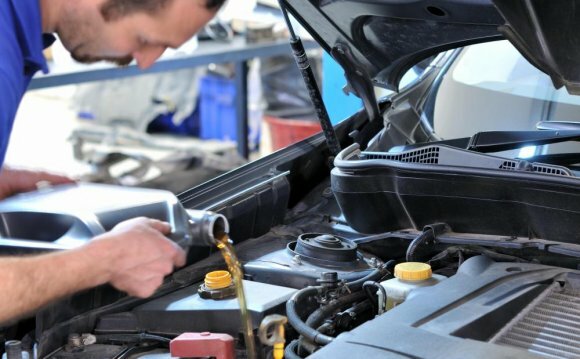 The engine is intentionally constructed by the manufacturer for this to happen, as a too lean mixture will cause the engine to over-rev as well as overheat, and in engines running on premixed fuel a too lean mixture will cause poor lubrication. Running the engine at full throttle without load is not normally done in most applications, but in a chain saw the full throttle mixture is actually adjusted for the engine to four stroke at a given rpm set by the manufacturer. This is done by adjusting the high rpm screw on the carburetor while the engine runs at full throttle until the correct rpm level can be read on a tachometer. Two stroke engines rely on effective scavenging in order to operate correctly. This clears out the combustion exhaust gases from the previous cycle and allows refilling with a clean mix of air and fuel. If scavenging falters, the mixture of unburnable exhaust gas with the new mixture may produce an overall charge that fails to ignite correctly. Only when this charge is further diluted, by pumping through a second volume of clean mixture, does it become flammable again. The engine thus begins to 'fire-and-miss' every second cycle (every four strokes), rather than correctly on every cycle. Four-stroking begins gradually, so the engine first starts to run with an unpredictable mixture of two- and four-stroke cycles. When severe, this may even become six- or eight-stroking. Scavenging of small two-stroke engines relies on inertial scavenging through the Kadenacy effect. At low rpm and low gasflow velocities, this effect is reduced. Scavenging thus becomes less effective when idling, and so it is when idling (at either low rpm or low throttle) that four-stroking is most likely to become a problem.Schnuerle or loop scavenging is considered to be less prone than the simpler cross-scavenging. Four-stroking is not caused by an over-rich mixture, as is widely believed, although this can make it worse. Nor is it caused by excessive oil/fuel lubrication mixtures. Four-stroking is less likely with compression ignition engines (i.e. diesel engines) than it is with spark-ignition engines (i.e. petrol engines). Diesel engines are also rare as the small two-strokes where inertial scavenging is used. When large two-stroke diesel engines are used, these have scavenging by forced induction and so are generally immune to four-stroking when idling at low speed or low power. These scavenge blowers may be mechanically-driven Roots blowers or turbochargers. As a turbocharger does not spin immediately from start-up, but takes some lag time to come up to speed, turbo-charged two-stroke diesels often display four-stroking when starting, or when suddenly accelerating from idle. Some large engines, such as those from EMD, use a turbocharger with an auxiliary mechanical drive to give better scavenging from low rpm, avoiding this risk. Four-stroking is a common and expected behaviour with model engines, both glow fuel and diesel. These small engines run at extremely high rotational speeds and their scavenging relies upon this. When started, they run as inertially-scavenged four strokes and have a distinctive change in engine note when they accelerate past the point at which they begin to operate as two strokes. Owing to the scaling laws of such small engines, this four-stroking is an unavoidable consequence of limitations on their scavenging at slow speeds. However the same scaling laws also make the effects of four-stroking less severe and so the engines can idle happily in this mode, without damage. The pilots of control line serobatic model aircraft often depend on this "four-stroking" behavior of their glow fuel burning two stroke model engines to give the best flight performance, even with fixed-venturi four stroke model engines, and even brushless electric motor power beginning to appear in ever-growing numbers. When a four-stroking engine eventually fires, the excess mixture from the previous stroke causes an excessive cylinder pressure. This can be nearly double the normal pressure, leading to excess noise and potentially failure of overloaded bearings in the connecting rod. Four-stroking is particularly noisy, especially as it occurs when the engine is otherwise relatively quiet and the vehicle may stationary in neutral gear. In some cases, particularly when two-stroke engines were installed in cars, extra silencer volume may be installed, specifically to handle the risk of this noise at idling. Four-stroking is problematic when a quiet, docile engine is required and also when the load on an engine suddenly changes. Retarding ignition timing reduces four-stroking, as it allows more time for scavenging to take effect. Two-stroke engines, when running at low power, are less sensitive to ignition timing changes than four-stroke engine. If the timing is retarded for low throttle positions, from perhaps 35° BTDC at normal speeds to TDC or even 10° after TDC at slow idle, the engine runs well without four-stroking. Opening up the throttle and simultaneously advancing the timing, allows a rapid pickup in speed. This system is widely used for outboard motors, particularly when used to pull water skiers. After introducing the four-cylinder CB750 motorcycle in 1969, Honda Motor Company followed with a string of lighter fours featuring engines as small as 350 cc (CB350 Four, CB500 Four), and the CB400F 408 cc Four, produced in 2 models from 1975 through 1977.